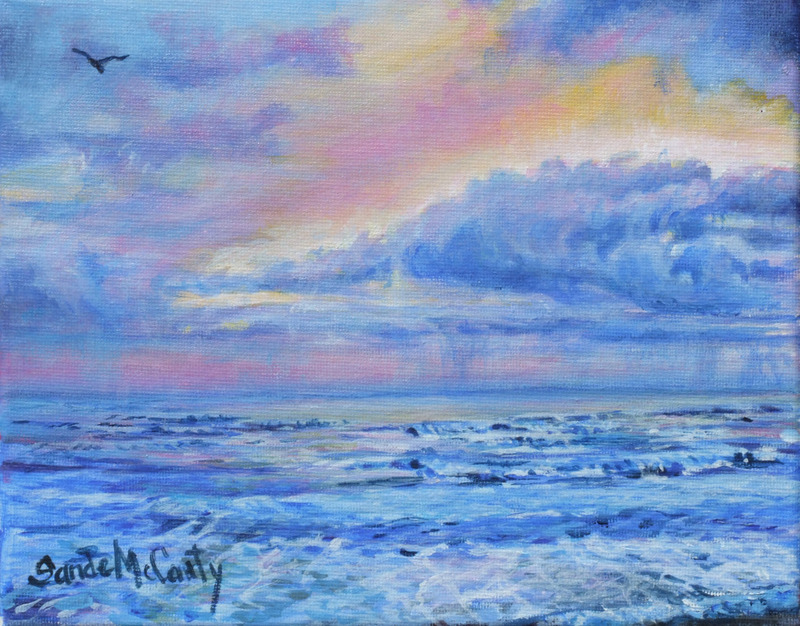 ***SOLD*** Lovely shades of pink, lavender and blue splash and swirl across the sky with the soft yellow glow of the morning sun rising over the ocean. The day could go either way with lovely sunshine, or the promise of rain. Acrylic on Canvas. 7" x 9"9" x 11.5"11" x 14"